Click Here to View Martin Piecuch's Resume and Repertoire. Click Here to Download a printable version of Martin Piecuch's Resume and Repertoire. Click Here to Download a list of References. Click Here to Download Martin Piecuch's Resume in Russian. Click here to Download Martin Piecuch's Head Shot. Martin Piecuch (pronounced PQ in USA and Pietsook in Europe) is Music Director and Conductor of the U.S. Congressional Philharmonic Society which promotes American music and serves as the artistic voice of Congress. It has been endorsed by both the U.S. Senate and House of Representatives. In December 2003, Maestro Piecuch was named Permanent Guest Conductor of the Moscow Philharmonic. During his seventh tour of Russia in Spring 2003 he made his debut with St. Petersburg Opera and was invited to conduct the St. Petersburg Philharmonic in 2005. He will also debut with Helsinki Philharmonic in Finland. He is Music Director and Conductor of the USA Ballet and of PALA Opera Association. From 1990-98 as Music Director & Conductor of Washington Symphony Orchestra, Mro. Piecuch led the orchestra through a growth period of budget, audience, and artistic development with concert seasons at Constitution Hall. Crowning his tenure with WSO he produced an international orchestra with musicians from the WSO, the Bohuslava Martinu Orchestra from Zlin, Czech Republic, and the Ukraine Radio/TV Orchestra in a 21-Concert Tour of Germany and Austria. In 1995 he became the first American to conduct the Krasnoyarsk (Siberia) Symphony Orchestra. In the International Music Festival of Asian Pacific Countries he led the first performance of Dvorák's Symphony No. 8, Coplands Fanfare for the Common Man, and The Grand Canyon Suite by Ferde Grofé. With the Music Comedy Theater he conducted The Merry Widow by Franz Lehár. He returned in 1996 to conduct two KSO concerts, and Die Fledermaus. Russia's Minister of Culture presented him with a Bronze Medal. In 2002 he conducted Verdis Il Trovatore and four symphonic concerts with the orchestras of Krasnoyarsk and Vladivostok, where he also led their first playing ever of Stravinskys Firebird. Mro. Piecuch made his Kennedy Center conducting debut in 1996: the world premiere of LanYing. In September 2001 he made his New York debut at the Society for Ethical Culture, leading A Puccini Ring Cycle: Gianni Schicchi and Messa di Gloria. Mro. 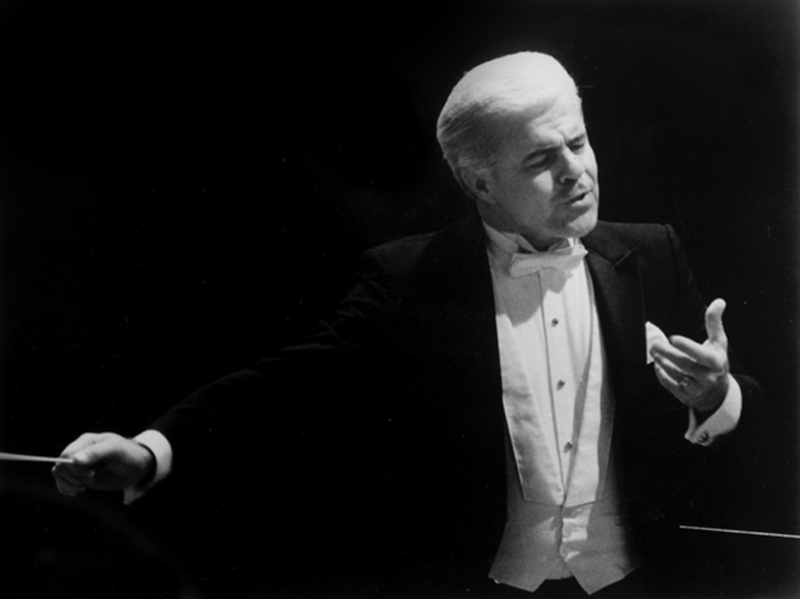 Piecuch has led Indiana University Orchestra in Bloomington, Hradec Králové Philharmonic in Czech Republic, the Danville (IL) Symphony Orchestra, and the Vogtland Philharmonie of Greiz/Reichenbach,Germany as the first American conductor. He was resident conductor, orchestra manager and chorusmaster at Wolf Trap, Music Director/Conductor of Washington Civic Opera and Symphony, and Conductor of Alexandria Choral Society. He has led over 800 performances at Wolf Trap, Carter Barron and Kennedy Center and was Music Director of Aldersgate Choir which he led on tour in Germany, Austria and Hungary. Click here to download a Sample Program. When the arts are alive and well in a community, humanity, the highest form of life, is elevated by the highest forms of communication, creative spirit, inspired vision, expressive movement and beautiful music in the sublime feeding of the soul. One has only to seek the level of participation needed for personal fulfillment.